Several BMSE surveyors have particular expertise in steel or Aluminium Alloy craft and have meters from Krautkramer, Cygnus or other brands for the ultrasonic thickness measurement of plating to determine plating renewals required. The measurements are offered for owners, buyers or insurers use rather than classification societies. 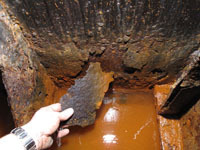 Vessels attended for pre-purchase surveys, insurance surveys, damage or repair inspections range from small motor or sail craft, inland craft, superyachts, small passenger ships, tugs and workboats through to larger commercial vessels depending on the individual surveyor’s experience or specialities. 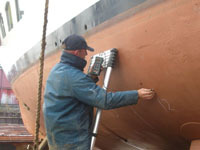 BMSE surveyors with specialist experience in Steel and Alluminium yachts can be found here.